2. Everything you’ve ever wanted is on the other side of fear. With that being said, enter the King of Cups. The King of Cups is frequently pictured in a very calm pose upon his throne amidst a stormy sea. His demeanor is one which is emotionally balanced. How ever does he do it? There are several energy shifts this week, leading up to the Full Moon Lunar Eclipse at 15° Aquarius on the 7th. Allow this King to be your buoy, for when the waters around you become rough, there is certainly no need to dive into the fray. 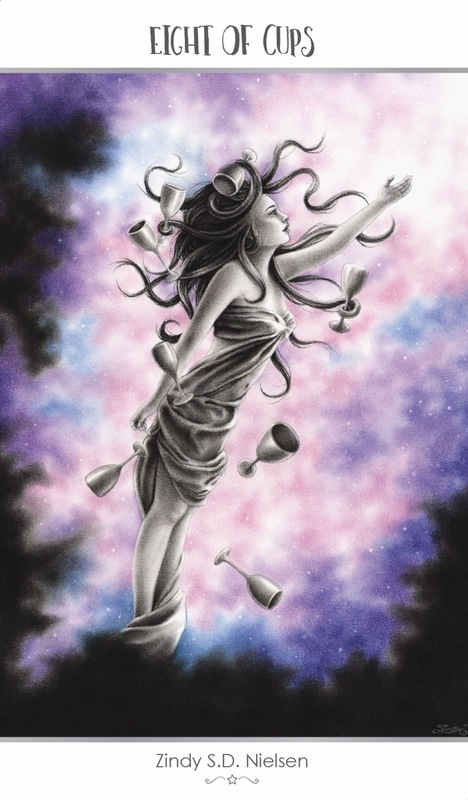 You may be called upon to be the one to keep it all together at this time; rely on your intuition, and do not allow yourself to be sucked into the drama which may be swirling around you. This entry was posted in Card of the Day, General Tarot, Love and Finance, Patreon, Readings, YouTube Videos and tagged Card of the Day, Guidance, King of Cups, Path, Reading, Tarot. Focus, control, skill, action, control. 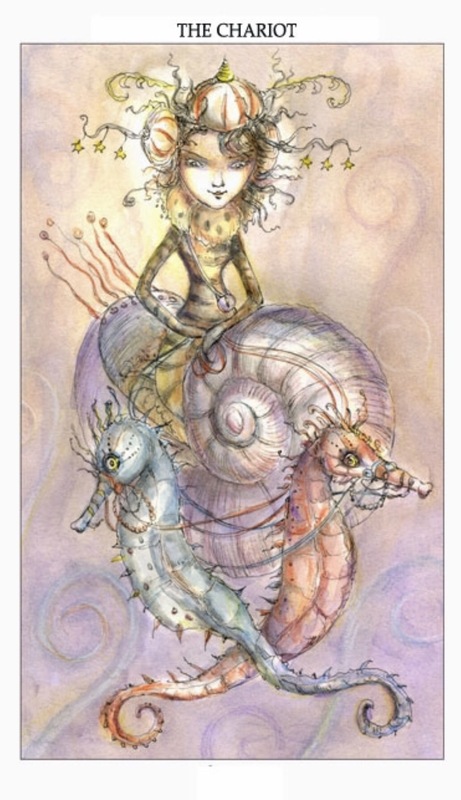 With fortitude and self-control, Madam Chariotte maintains control of her seashell chariot by managing her headstrong seahorse companions, Fire and Ice. They attempt try to guide her in conflicting directions, but her sheer determination keeps her from diverging from her path of choice. With the strength of the sun glowing from within, she moves forward with faith and motivation. By managing the reins of your mind and maintaining your will to proceed, you awaken powers within to stay on course. With courage and focus as your driving force, you can successfully overcome obstacles in your journey toward well-being and victory. Indecision. Loss of control. Delays. This entry was posted in Artist, Deck Review, Featured Card of the Day, General Tarot, Readings and tagged Chariot, Joie de Vivre, Paulina Cassidy, Tarot. Another month has come and gone, and you seem to be ready to turn your back on everything and move forward into unknown territory. There have been disappointment, good times and bad, but moving forward and moving on has really become a priority as of late. Very often, a typical 8 of Cups will show a mountain range off in the distance, and this feels so appropriate, because what lies on the other side holds the promise of being so much better than that which you are leaving behind. 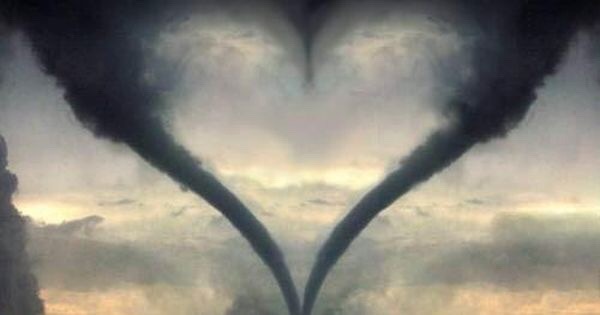 It will be August tomorrow, and the winds of change will blow right on through, upending everything in the Universe. The time has come to move on and move forward to your new identity. This entry was posted in Card of the Day, General Tarot, Readings, YouTube Videos and tagged 8 of Cups, Card of the Day, Guidance, Path, Reading, Tarot. Even though the changes are coming, you may still believe there is no way out of a particular situation. For some reason, it would appear that you have convinced yourself of this, which is working to your own detriment. While you seem to have a plan for change, taking the necessary steps to act upon it seems to be the issue. Patience, at its best, is definitely a virtue, but it is time to jump in feet first and simply get things going. You can do this! One of the biggest challenges which confronts you is security. You may be feeling a little uncertain about some things, given the current cosmic atmosphere, but no matter how dim your path may feel at times, you are still moving in the right direction. Remain levelheaded and grounded, not lashing out at the obstacles on your way in an impulsive manner. You may be marching to the beat of a different drummer, but the decisions you make are yours, and yours alone, and they pertain to how you wish to lead this next portion of your life. Each day is a new day, and they grow brighter and brighter, until eventually you have overcome much of the stress which has plagued you. Creative endeavors to balance your entire existence can result in better health and overall lessen anxiety. Your clarity is beginning to improve, allowing you to see things as they truly are; the month of August will find you zipping along with the winds of change as they assist you in moving forward more quickly. This entry was posted in General Tarot, Love and Finance, Readings, Through the Eyes of Tarot, YouTube Videos and tagged Cancer, Guidance, Path, Reading, Tarot, Venus. Below is my Sun sign Tarot Guidance for August as individual YouTube videos. Or, you may view them through Patreon in a $2 per month subscription package. This entry was posted in Astro-Tarot, Full Moon, General Tarot, Love and Finance, New Moon, Patreon, Readings, YouTube Videos and tagged Aquarius, Aries, Cancer, Capricorn, Finance, Gemini, Guidance, Leo, Libra, Love, Money, Path, Pisces, Reading, Sagittarius, Scorpio, Tarot, Taurus, Virgo. 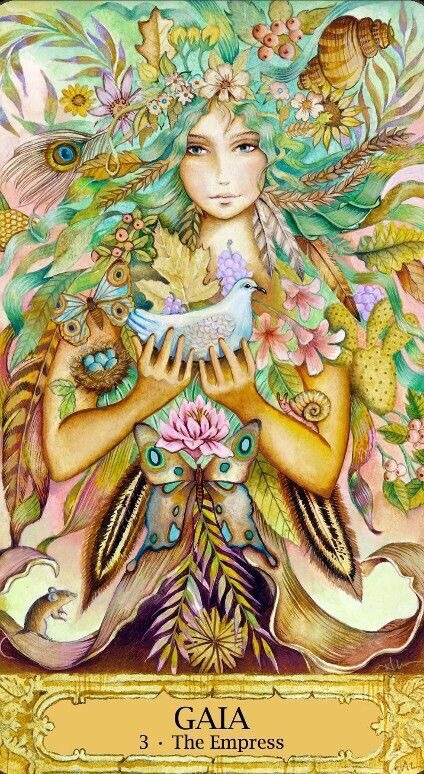 The Seven of Earth symbolizes a need to both nurture and maintain a connection between spirit, self, and the world around you. Ground, integrate and connect. To feel and embrace this connection does not require any belief in the Divine, but a simple awareness that all is connected on an energetic level. At this time, look out into the world to see, feel and understand the cycles of life and nature and how they affect and influence you. Over time, lifeand day-to-day demands may begin to wear away at us, making us irritable and reactive…less adaptable and flexible…more fearful of the changes going on within us,, and around us. All of these things can make us feel alone and disconnected. 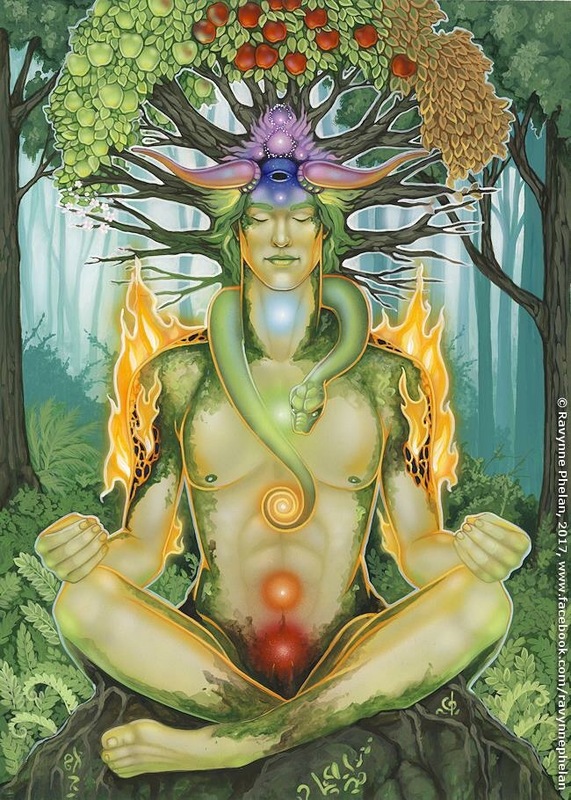 The Seven of Earth symbolizes the importance of connection and being part of the natural world, but also the need to address areas of potential stress in your life before they become a problem. It is time to meditate and still your mind. Make a habit of taking time to sit and meditate in nature, and allow all the stress to flow out of you and into the earth. Breathe deeply and allow yourself to relax and become one with Gaia and Great Spirit. Reconnect. You do not have to believe. Just allow yourself to be still, at peace, and free of the impurities and worries that cloud your senses and good judgment. 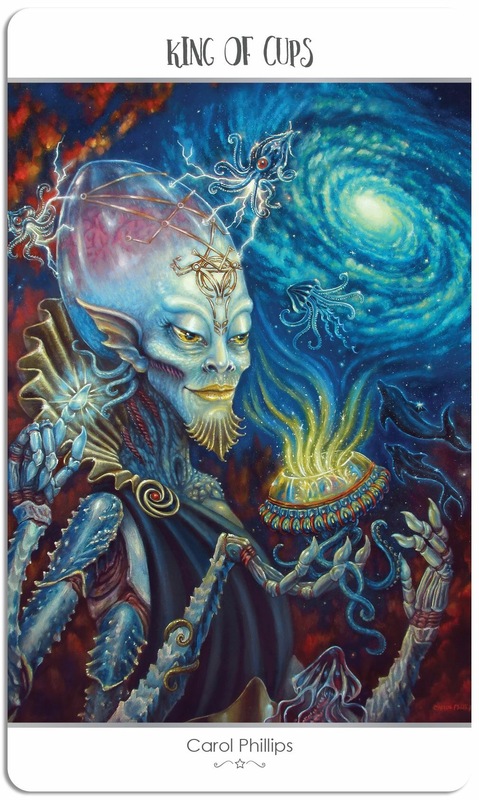 This entry was posted in Artist, Deck Review, Featured Card of the Day, General Tarot, Readings and tagged 7 of Earth, Dreams of Gaia, Ravynne Phelan, Tarot. This is truly one of those wonderful times of the year, when, no matter where you live, you need to be out and about, enjoying the blessings which Mother Nature has to offer. 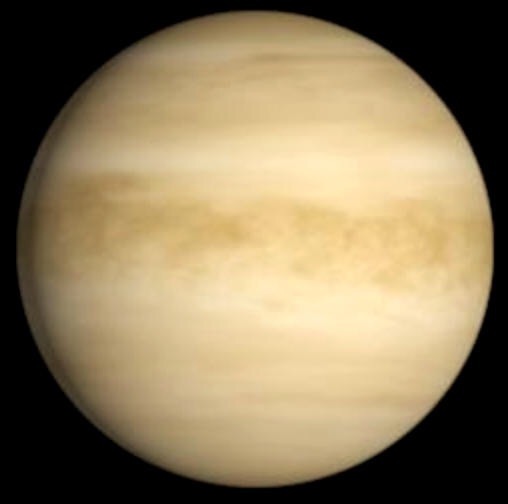 The Empress is Mother Nature at her finest, but also representative of a female figure in your life, i.e., Mother, daughter, sister, aunt, grandmother, any of whom could be a part of your day today. At this time, there may be news of a birth or even a pregnancy announcement. This is also the perfect day to attend a baby shower.